Do you have an existing heating system and would like to make it more efficient without replacing the system or costing the earth. There is a great cost effective solution. Fully adjustable thermostatic controls for heating and water with infinite time settings. This system is fully wifi enabled and can be operated from any mobile device,tablet or laptop . Forgot to switch your heating off when you left home? 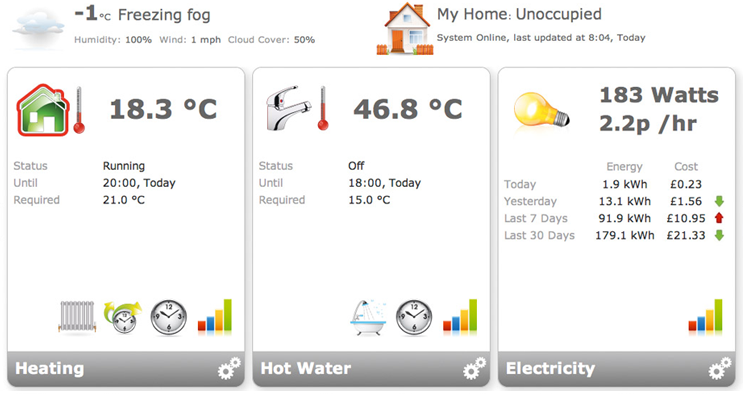 Coming home early and want the heating on when you arrive , this system is fully operatable from anywhere in the world. Please contact Perrin Energy for more information and advice about energy savings.